Neolithic mounds indicate that Sofia was inhabited as many as 7000 years ago. During the 1st millennium, the Thracian Serdi tribe settled around the central hot springs, and called the city “Serdika”. It was of strategic importance because of its position on the main road to Byzantium, which later became Constantinople (Istanbul). In the late 9th century the city became part of the Bulgarian state and emerged as a trade, crafts, and religious center. It was conquered by the Turks in 1382, and became one of the largest market cities in the Ottoman Empire under the name “Sofia”, which means “The Holy wisdom“. In 1878, Sofia was liberated, and proclaimed the capital of Bulgaria in 1879. At that time, the population of Sofia was a mere 12,000. Sofia today has a population of over 1.2 million. The city centre is a combination of historical sites, bustling local markets, and the modern conveniences of a capital city, including good restaurants, hotels, and shopping areas. A stroll through it reveals traces of Thracians, Greeks, Romans, Byzantines, and Turks. More than 250 sites are protected, and hot mineral fountains still flow in its centre. 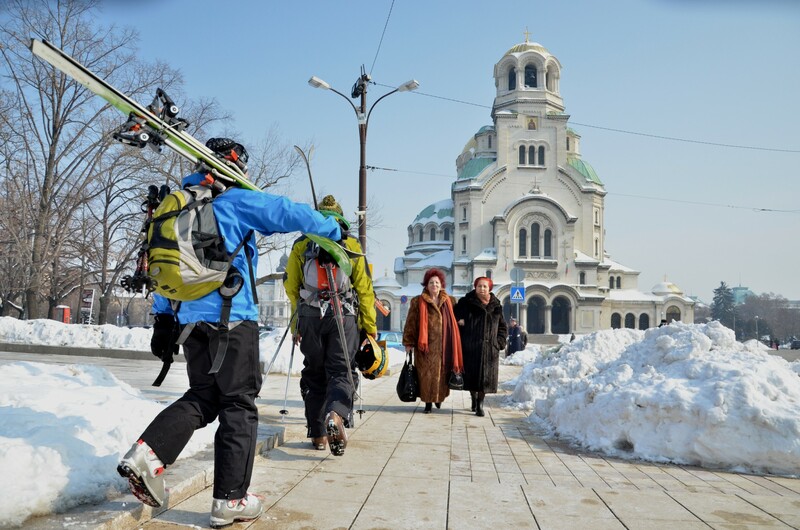 Within less then an hour one can visit a number of monasteries, part of the so-called Sofia Holy Mountain. St. George Rotunda is the oldest preserved building, dating back to the 4th century. The impressive gold domed Alexander Nevski Cathedral, the Russian Church, the Sofia Synagogue, and the Banya Bashi Mosque are a short walk from each other. Alexander Nevski Cathedral crypt hosts the Museum of Medieval Bulgarian Art, which displays an impressive collection of icons, from as far back as the 9th century. The National History Museum, located in the outskirts of Sofia, has an extensive collection showcasing gold Thracian treasures and presenting Bulgarian history from prehistoric times to the early 20th century. In the Archaeological Museum some of the most ancient artefacts can be seen, which date as far back as the Early Paleolithic time.